IF YOU'RE LIKE TEAM GASPARI, YOU PUT A LOT OF TIME INTO BUILDING YOURSELF. - Whether it's putting on muscle, increasing endurance, or just trying to look the best you can, it takes persistence. We know this too which is why we spent over 24 months developing AminoLast based on the latest cutting edge research. We wouldn't settle for just another “me too” formulation. You want something different. 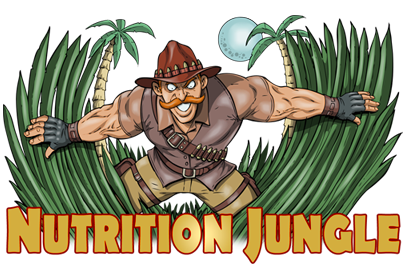 We've created an amino acid product that tastes great, and brings something new to the market to help you reach your goals. Utilizing only the best ingredients without added synthetic colors, we created a superior recovery and endurance BCAA superfuel. When you push yourself to the limit, your muscles pay the price. 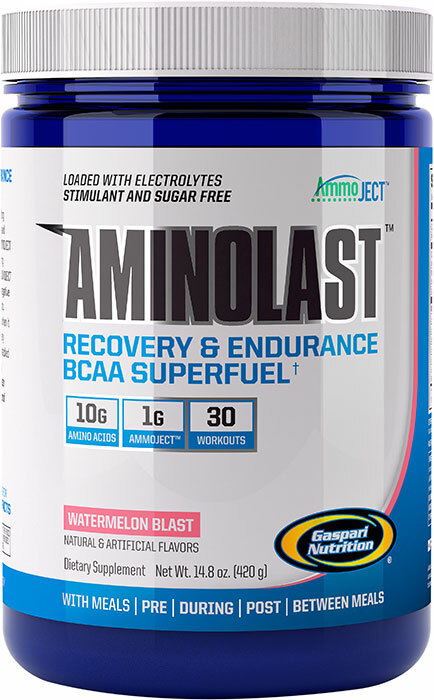 AMINOLAST™ with AMMOJECT™ technology is the only product that delivers a high dose of BCAAs, powerful Leucine-enriched peptide amino acids, anti-cramping electrolytes and AMMOJECT, to rid your muscles of waste products that can cause fatigue. Even better, you only need a single serving per training session instead of “megadoses” which do nothing more than burn a hole in your wallet. We aren't going to try to sell you on cheap amino acids like Glycine or Alanine either. From the first dose, you'll notice the difference. The keys to performance for any athlete come down to building lean muscle, enhancing recovery, and extending muscular endurance. 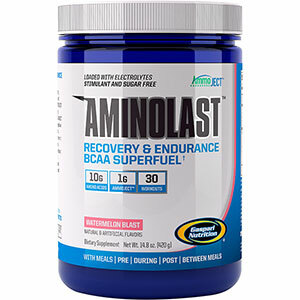 AMINOLAST by Gaspari Nutrition delivers the highest quality BCAA supplement available to help an athlete achieve peak performance in all of these aspects! With every serving of this amazing product providing 10g of potent amino acids, you are sure to notice a difference from the very first workout. The patented AMMOJECT technology unleashed in AMINOLAST also helps rid your muscles of waste products that tend to build up during exercise causing faster muscle fatigue. With this technology muscular endurance will be at its peak allowing the athlete to get the most optimal workouts every time! 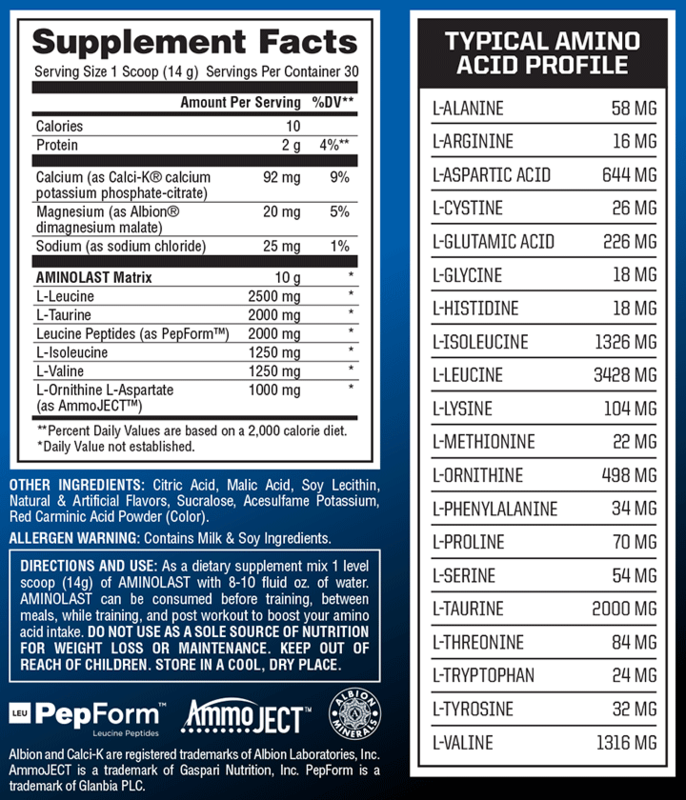 Gaspari continues to impress me with their products. This stuff tastes amazing and mixes great! Bunch of flavors to choose and honestly all of them are great. Definitely helps with my recovery time and even notice some endurance during the workout. Give it a try!